When you think of robotics teams, you might think of BattleBots, the television show with robot combat. 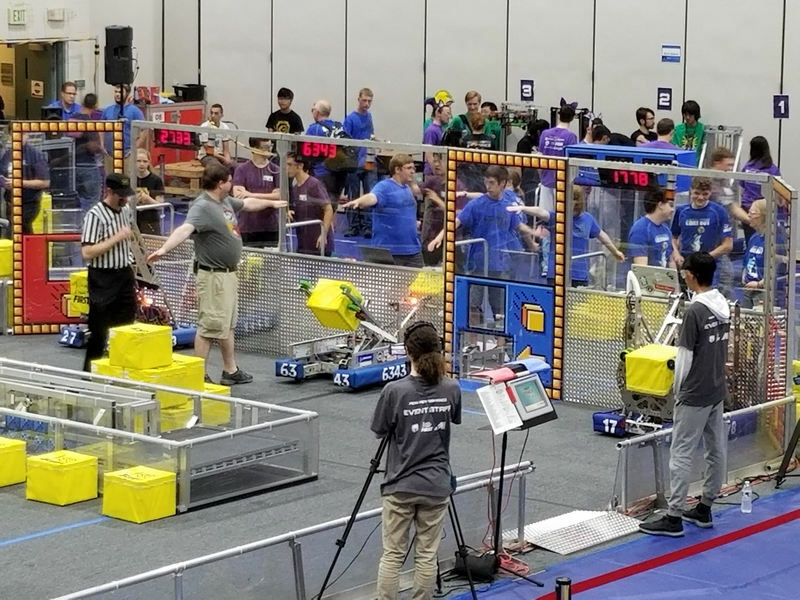 “They spend $40K, $60K, $80K for these really fancy robots,” said Jeff Brink, the robotics team advisor at Ridgefield High School. “Then they crush them and break them.” But what if robots were builders instead of destroyers? Now you have the concept of the STEEL Ridge Robotics team. STEEL Ridge Robotics takes part in the national FIRST (For Inspiration and Recognition of Science and Technology) program. FIRST works to get more students of all ages into STEM (Science, Technology, Engineering, and Math) careers by inspiring their interest and participation in activities like robotics. At the high school level, students are designing robots for cool, interesting, science-based games. This year’s theme is Destination Deep Space, honoring the 50th anniversary of the moon landing. In just six weeks, students will work with their mentors to build a robot that can accomplish the mission’s goals. Previous years’ themes have included Steampunk (building a working airship), PowerUp (navigating through video game type activities), and Stronghold (storming the castle). Students, coaches and mentors work together on the competition floor. 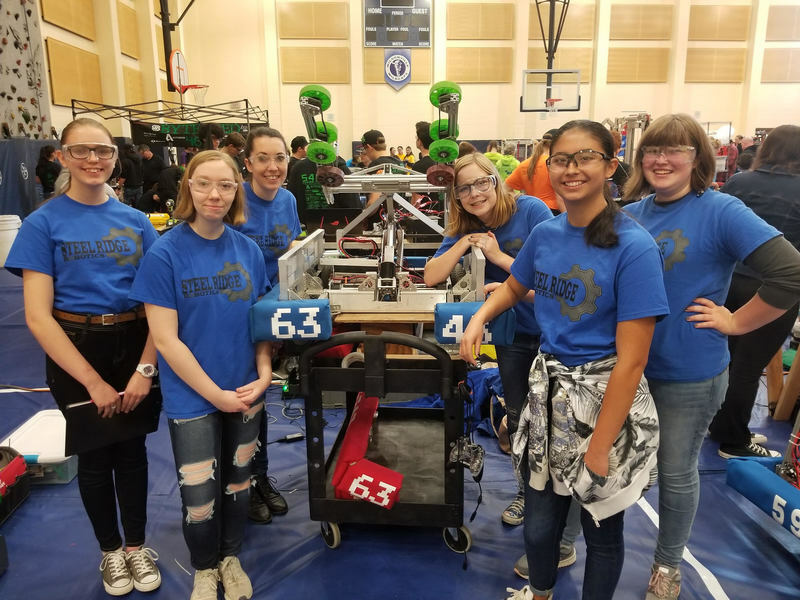 STEEL Ridge Robotics fielded a Girls Generation team in a competition focused on ensuring STEM equity. Mentors are a critical part of the robotics team. Adult mentors work with the team all year on a wide range of activities, including robot design, mechanism builds, and business plan creation. Mentors come from many different fields, from electrical engineering to media, from computer programming to graphics, and they are always glad to bring more mentors aboard. “These people are amazing, all the stuff that they can do. Without them, our program doesn’t go anywhere,” Brink explained. Competing is expensive; registration for all the season events is $10,866, which includes a basic robot kit. While they do have some grants to support the team, they welcome local sponsors and donations as well. For more information on how you can help, contact Jeff Brink at jeff.brink@ridgefieldsd.org.